One of our most popular day excursions and it is easy to see why. Bodnant Garden is a world-famous garden home to National Collections and Champion Trees. 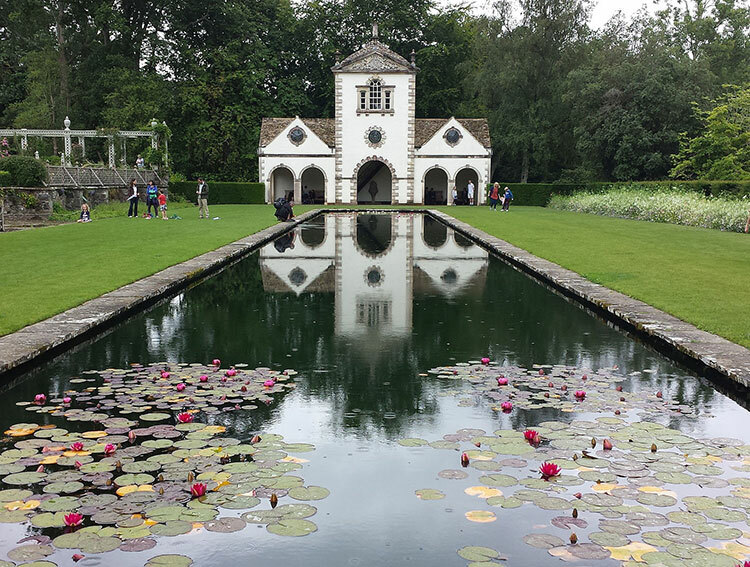 With intimate corners, sweeping lawns, grand terraces and verdant woodland, there are many gardens in one at Bodnant. This truly is a special place for all ages. It is at this time of year that Bodnant is so colourful so we schedule our visit in Spring. One of the highlights of spring at Bodnant Garden is the flowering of their famous Laburnum Arch. You can find bespoke gifts in the craft shops and there are two tea-rooms to choose from. We then depart to go to beautiful Conwy. Conwy is a town rich in history, with much of it still preserved within the walls and traditional structures of its buildings. In the heart of it is the mighty 13th-century castle, whose walls encapsulate this remarkable medieval town. Conwy offers a whole host of places to eat and drink. Fine dining restaurants, traditional pubs and snug cafes can be found throughout the town.